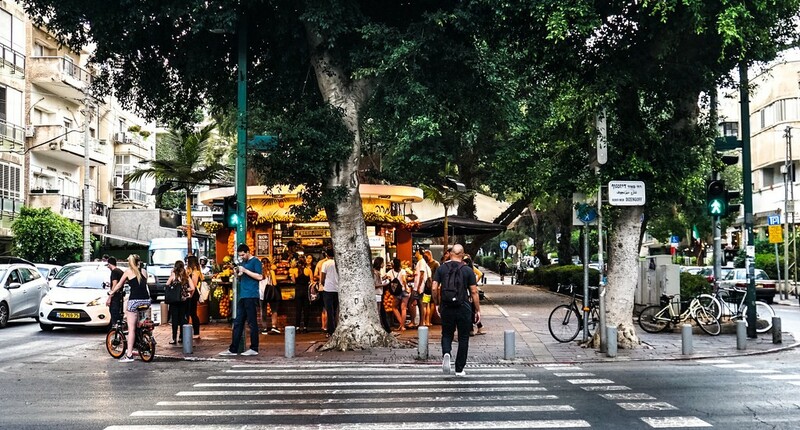 Ben Gurion Street is one of the most popular areas in Central Tel Aviv, which explains all the incredible food in the area. Here are some of the top places for a quick refuel on this main drag. Tamara Juice Bar caters to all tastes, offering the freshest juices, shakes, smoothies, açai bowls, muesli parfaits, and fruit salads. Every item is made to order on the spot, with any fruit and vegetable you can possibly imagine. The friendly staff will be happy to help you find your perfect combination. La Ca Phe is much more than just a coffee stand. Not only does it serve some of the best coffee to be found in Tel Aviv, but it also has Vietnamese dishes, including pho and spring rolls. The colorful menu offers a wide variety of delicious sandwiches, freshly baked pastries, and special breakfast treats. 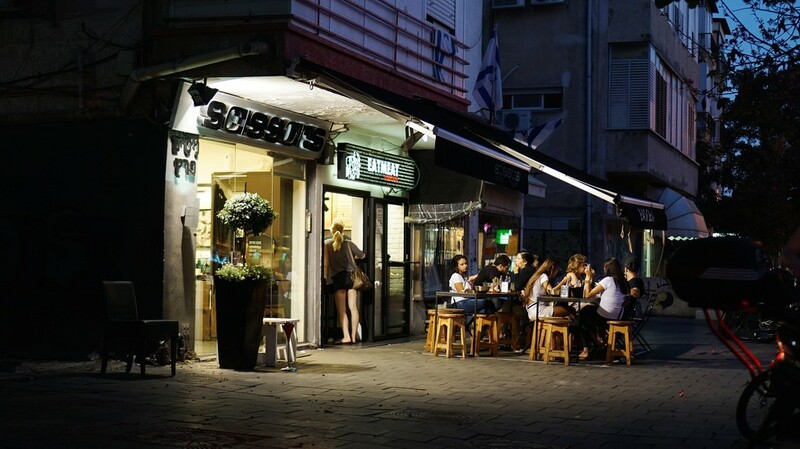 This is the quintessential spot to sit and watch the world go by on Ben Gurion Street. This bakery and café is the place to go for the locals of Ben Gurion area. Many loyal customers come on the daily for reasonably priced coffee and a favorite pastry, sandwich, salad, or breakfast dish. Most items can be taken to go, or you can take a seat and enjoy the good vibes and friendly faces. All the breads and pastries are freshly baked every morning on the premises. Since Bread and Co. serves only the freshest products, at 7pm every night you’ll see a line out the door for the famous 1+1 on all the breads and pastries. This Mexican joint has become a landmark in the area. Diners are given a stamp to create a custom Mexican fiesta. Choices include a burrito, taco, or a bowl, which can be filled with various meats or special vegetarian mixes and a choice of white rice, brown rice, or quinoa. The level of spiciness can also be chosen, with the highest level for only the most daring. Mex and Co. also offers unique cocktails, such as frozen margaritas, for only ten shekels. This vegetarian, kosher hummuserie offers a large selection. It has several hummus options, as well as four to five soups that change daily, served with incredibly fresh and warm pita. The menu also includes omelets, homemade Shakshuka with you choice of toppings, salads, and daily vegetarian specials. Kiki is small and fairly simple, but sometimes that’s all you need. This kosher pizzeria is open late and serves mouthwatering pizza for all appetites. 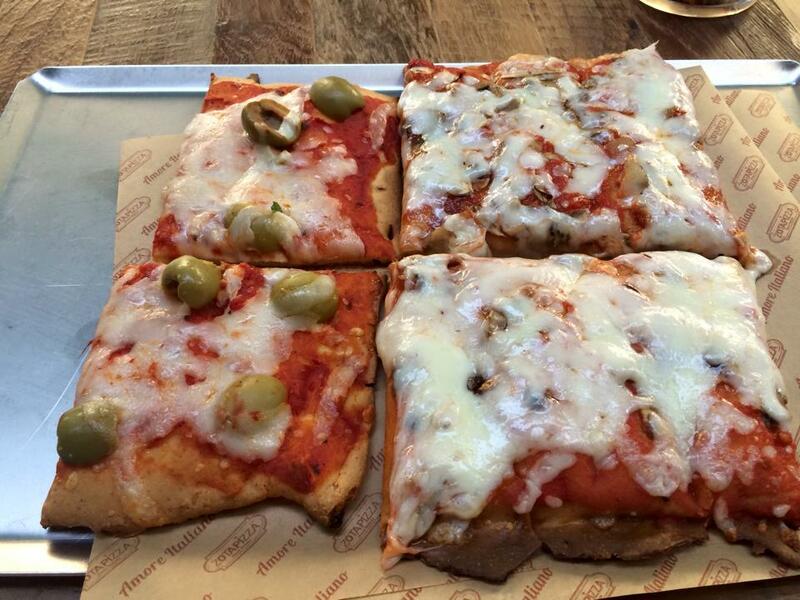 Zota Pizza will cut you a square piece as big or small as you please. The ‘any size goes’ policy is especially great since Zota has such a large variety of pizzas to choose from.